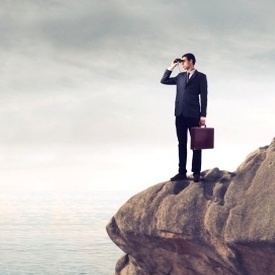 It’s no surprise that prospecting is the No. 1 challenge advisors face, year after year. When, as part of National Underwriter’s recent Independent Producer Study, we asked about the most challenging aspects of selling insurance products, 55 percent of respondents named prospecting as their top trial. It was a landslide winner, in fact, beating such formidable obstacles as clients’ lack of understanding around the need for insurance (34%), negative opinions of insurance products (25%) and product affordability (22%). 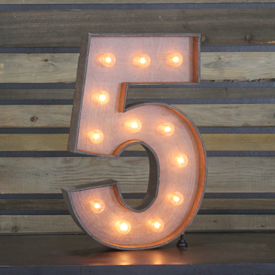 As you look to overcome this challenge in the year ahead, keep these five techniques in mind. While there’s no silver bullet to make prospecting a breeze, these are the methods your peers know from experience to really work. A steady stream of qualified referrals is the lifeblood of any agency. Eighty-two percent of survey respondents cited referrals as the most effective way to prospect for new business, and for good reason: No other method will provide greater bang for your buck, so to speak. Having a solid referral-generating process in place will ensure not only that you are constantly introduced to new prospects, but that you are constantly introduced to the right prospects — the ones that meet your Ideal Client profile. At 34 percent, community involvement was named the second most effective prospecting technique. It’s Branding 101: The more people who associate your name with a positive message, the more clients you will have. Jim Brogan, president and founder of Brogan Financial in Knoxville, Tenn., makes community involvement a cornerstone of his practice, and has seen a boom in business as a result – not to mention a greater satisfaction and sense of fulfillment in the work he does each day. He encourages financial advisors to ask these questions as they consider how to get involved in their community: How many people in your community know who you are and what you do? If they hear the name of your business, what is the brand they associate with it? Is your brand different than any other financial advisor in town? Do you have a unique message and marketing initiative that helps you stand out from the crowded field of financial advisory firms? The federal sanctions have dented Cigna's enrollment and revenue. Cigna enrolled 441,000 Medicare members as of March 31, down 20% from the period in 2016. Cigna's Medicare premium revenue totaled $1.5 billion in the first quarter of 2017, down 18% over last year. Cigna previously said it expected the sanctions to weigh down its revenue for the remainder of the year. 2018 AHIP Training is now available. Lock in your $50 PSM discount today! Precision Senior Marketing is proud to be able to help support our agents that sell Medicare Advantage and Prescription Drug Plans. That's why our agents will be able to access AHIP's 2018 Medicare certification for only $125. That's a $50 savings to you just for being part of our team. Simply click on the AHIP banner above or use the URL below to access your 2018 Medicare certification training. *For agent use only. Not for use with consumers. Certain exclusions and limitations may apply. Not affiliated with the United States government or the federal Medicare program. To receive the discounted AHIP training course, agents must enroll in AHIP's training program via Precision Senior Marketing's specific training link. 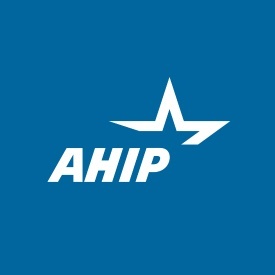 Enrollments for the promotion for AHIP to cover the cost of the agent's AHIP training must be with carriers the agent is appointed with through PSM, with eligibility for this program being determined by PSM. Agent must abide by PSM's compliance program described to participate in the promotion. 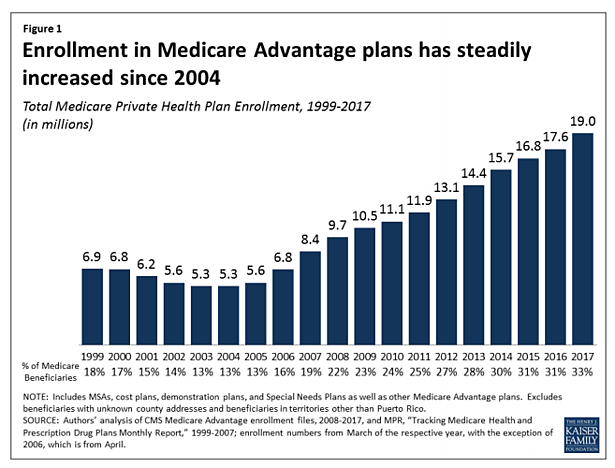 Medicare Advantage plans have played an increasingly larger role in the Medicare program as the share of Medicare beneficiaries enrolled in Medicare Advantage has steadily climbed over the past decade. The trend in enrollment growth is continuing in 2017, and has occurred despite reductions in payments to plans enacted by the Affordable Care Act of 2010 (ACA). Enrollment Growth- Since the ACA was passed in 2010, Medicare Advantage enrollment has grown 71 percent. 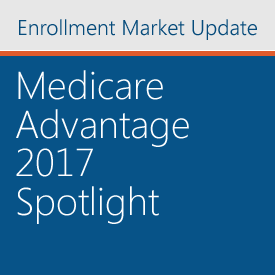 As of 2017, one in three people with Medicare (33% or 19.0 million beneficiaries) is enrolled in a Medicare Advantage plan. Market Concentration - UnitedHealthcare and Humana together account for 41 percent of enrollment in 2017; enrollment continues to be highly concentrated among a handful of firms, both nationally and in local markets. In 17 states, one company has more than half of all Medicare Advantage enrollment – an indicator that these markets may not be very competitive. Medicare Advantage Penetration - At least 40 percent of Medicare beneficiaries are enrolled in Medicare private plans in six states: CA, FL, HI, MN, OR, and PA. In contrast, fewer than 20 percent of Medicare beneficiaries are enrolled in Medicare Advantage plans in 13 states, plus the District of Columbia. Premiums and Cost-Sharing - While average Medicare Advantage premiums paid by MA-PD enrollees have been relatively stable for the past several years ($36 per month in 2017), enrollees may be liable for more of Medicare’s costs, with average out-of-pocket limits increasing 21 percent and average Part D drug deductibles increasing more than 9-fold since 2011; however, there was little change in out-of-pocket limits and Part D drug deductibles from 2016 to 2017. Medicare Advantage enrollment is projected to continue to grow over the next decade, rising to 41 percent of all Medicare beneficiaries by 2027. As private plans take on an even larger presence in the Medicare program, it will be important to understand the implications for beneficiaries covered under Medicare Advantage plans and traditional Medicare, as well as for plans, health care providers and program spending. In 2017, one in three (33%) Medicare beneficiaries – 19.0 million people – is enrolled in a Medicare Advantage plan (Figure 1). Total Medicare Advantage enrollment grew by about 1.4 million beneficiaries, or 8 percent, between 2016 and 2017. The growth reflects the ongoing expansion of the role of Medicare Advantage plans in the Medicare program. 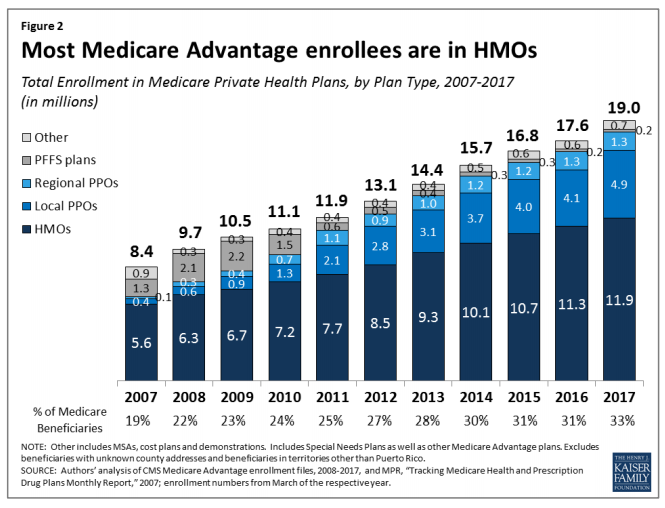 As has been the case each year since 2007, about two out of three (63%) Medicare Advantage enrollees are in HMOs in 2017. One-third of enrollees are in PPOs – with more in local PPOs (26%) than regional PPOs (7%) – and the remainder are in Private Fee-For Service (PFFS) plans (1%) and other types of plans (3%), including cost plans and Medicare Medical Savings Accounts (MSAs). • HMOs - Enrollment in HMOs increased by 0.6 million to 11.9 million beneficiaries in 2017 (Figure 2 and Table A1). • PPOs - Enrollment in local PPOs increased by 0.8 million, with 4.9 million beneficiaries in local PPOs. In 2017, 1.3 million beneficiaries are in regional PPOs, similar to 2016. A key difference between an HMO and a PPO is that the latter covers part of the cost of care from providers outside of the plan’s provider network. Local PPOs, like HMOs, are required to serve areas no smaller than a county, whereas regional PPOs are required to serve areas defined by one or more states. If you don’t like the first few episodes of a TV show, do you stick with it until the series finale? Probably not. It’s unlikely you’ll suddenly start loving it, and there are plenty of other options out there. Unlike a show, your prospect probably won’t stop the sales presentation if the beginning doesn’t go particularly well. But the first 10 minutes can determine whether the entire meeting is a success or a failure -- which means you need to nail the opening. Read on to discover the crucial things you should do at the beginning of every presentation. It’s easy to tell who you’re speaking to when you’re giving an in-person presentation -- after all, they're sitting right in front of you. But when you’re on the phone or sharing your screen, it could be just your prospect on the other end -- or it could be your prospect plus several other stakeholders. Knowing your audience is essential, since it lets you tailor your message to each person’s specific needs, goals, and involvement in the buying process. Ideally, your prospect will let you know in advance if other people are attending. But don't count on them to do the legwork for you. If there are more people on the call than you expected, ask everyone to introduce themselves -- and pay special attention to their titles, since those will help you figure out their role in the deal. "Great to meet you, [name]. So I can make this relevant to you, is there anything in particular you're hoping to learn today?" If you think there's a stakeholder who should be on the line, but isn't, consider speaking up. Not only will including the right people help you avoid internal obstacles and speed up the deal, but it'll show your prospect that you're experienced and helpful. Next, before you get into the nuts and bolts of the presentation, build some rapport. Setting a friendly, natural tone from the very beginning is important, as it’ll make the buyer more engaged and interested. Plus, getting them to open up early on means they’re more likely to ask questions during the actual presentation, which could allow you the chance to handle an objection or concern before it derails the deal. A presentation without an agenda usually feels like a string of unrelated facts rather than a tightly woven narrative. Setting an agenda gives buyers a clear roadmap of where you are, where you’re going, and where you’ll end up by the end of the meeting. Not only will their level of comprehension skyrocket, but knowing the plan will make them feel more in control. Empowered prospects speak up -- so you'll get better insights into their mindset throughout the meeting. Explain the benefit to the prospect: How will having this information help them? 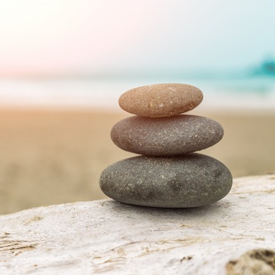 Check that you’re in alignment: Ask, “How does that sound to you?” or “Was there something else you’d like to cover as well?" This approach lets you quickly and easily get everyone on the same page. Your resentation should be interactive. Nothing makes prospects stop listening more quickly than when you throw an endless list of facts and numbers at them. Instead of lecturing your audience for 20 or 30 minutes straight, have a conversation with them. 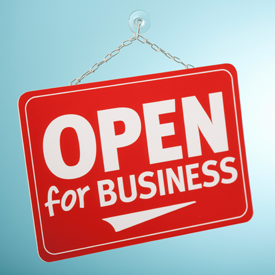 Make sure they know you're open to -- in fact, welcome -- questions. As an added benefit, encouraging them to ask questions makes you more likely to hear their objections while you still have time to resolve them. "I'd much rather have a discussion than present for a half hour -- although I can do that too -- so please jump in with questions or comments throughout." "Please stop me at any time if you have a question. I'm happy to give you more information or simply explain things a different way if they're not clear." Looking for the perfect segue into the actual presentation? In one to three sentences, summarize your prospect’s pain and/or your current understanding of their situation. Outlining their biggest challenges has a couple benefits. First, it focuses the conversation. Second, it sets you up to discuss your product’s features specifically as they relate to your prospect’s challenges, which will boost their engagement. "During our last conversation, you shared a few things you were frustrated with or hoping to improve -- specifically X, Y, and Z. Does that sound right to you?"